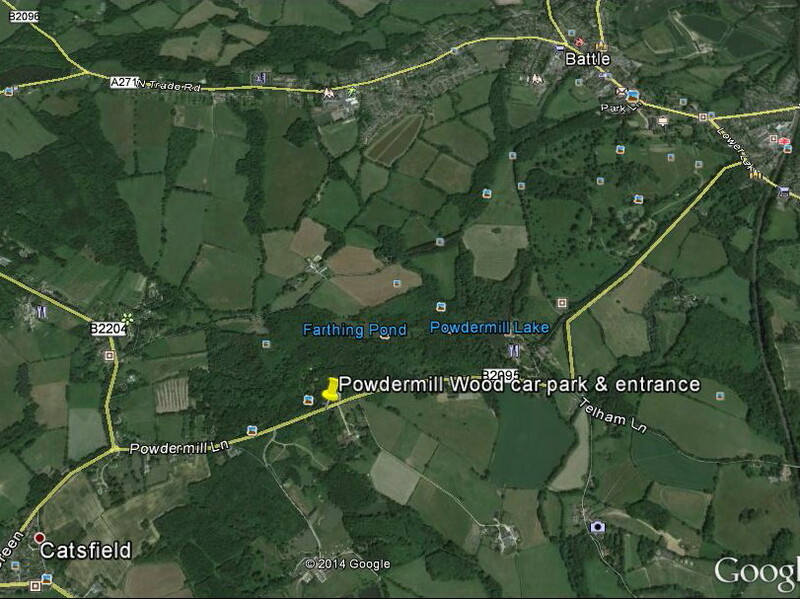 From the car park off Powdermill Lane*, take the footpath eastwards and parallel with the road. This path goes through woodland then bends left (northwards) leading to the reserve. 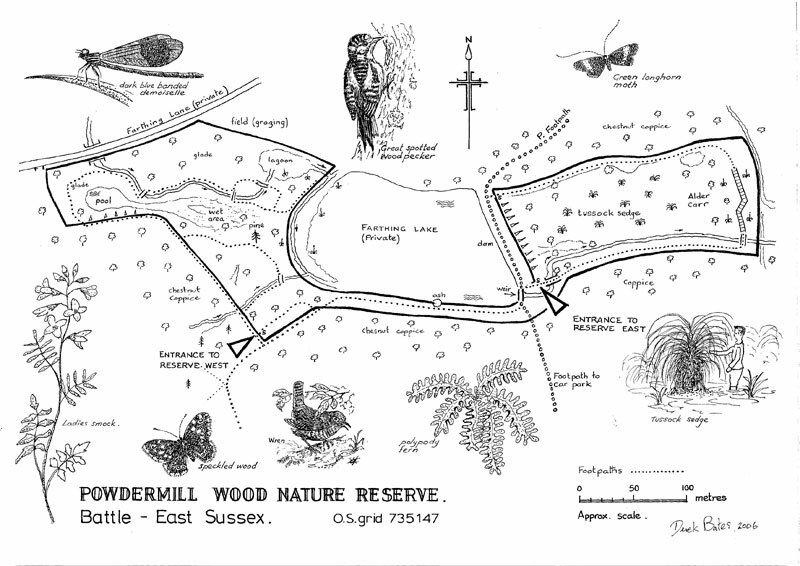 The reserve footpath then starts after the first bridge over the stream (marked by the right-hand arrow on the map above). 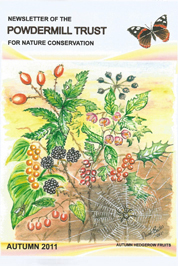 *PLEASE NOTE that the car park, entrance, and reserves are located on the NORTH side of Powdermill Lane.